Your smartphone can be quite helpful and useful when it comes to increasing your productivity and improving your daily performance. There are many apps for these purposes nowadays and some of them are especially made for students and parents. If you need help managing activities of your kids or you are a student a need to organize an activity schedule, than you need the right app to help you. We did our research and we find the perfect tool for this purpose. Let’s discuss it. Developed for android and IOS users, this productivity app is especially created as manager of activity schedules, very easy for using and highly efficient, offering the users to better their performance and easily manage their tasks. With the help of this manager, users can set activities and reminders, get help from their coaches and teacher in real time, with suggestions and ideas that will help them improve their productivity. All the help the user needs and all schedules can be set inside the app, getting all they need for finishing their tasks properly in one place. 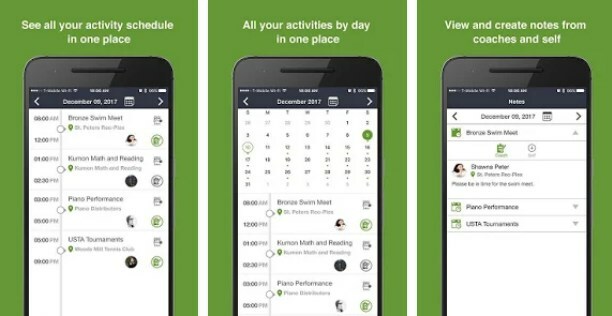 MyAster is offering both students and parents to use it for managing and organizing extracurricular activity schedules in one place. With the help of this app, users will be able to set activity schedules and even set activities daily to improve their performance effortlessly. This app is offering users also the option for them to get instant feedbacks from their coach or teacher that will help them understand them better and improve their activity performance with helpful tips, suggestions and ideas. The communication is in real time and users have the chance to also set their reminders and be notified when some activity asks for their attention. Users can view notes posted by their coach or teacher or even create their own notes. With the feature of centralized schedule, users will constantly get notified in real time and get useful feedbacks from coaches and teachers to help them get through their activities efficiently. Download the app for free now on Google Play and App Store to improve the activity performance!